On a Saturday I like to enjoy something which makes me smile. Today it’s a little pink air plant. 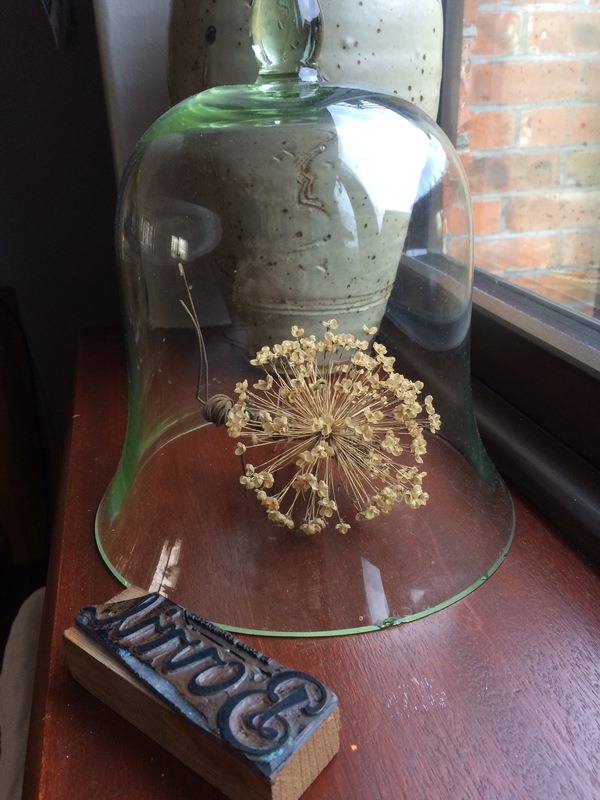 Hanging around in the kitchen with letterpress ‘Bovril’ a Victorian cloche containing an allium seed head and ant from Mallorca. A strange combination now I see it in black and white, but it makes me smile.